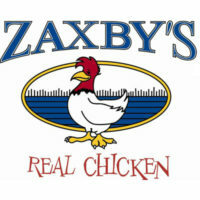 In 1990, the first Zaxby’s was opened in Statesboro, Georgia. Zach McLeroy and Tony Townley started the business after they couldn’t find great chicken in the area. In 1994, the company opened the first restaurant outside of Georgia in Bowling Green, Kentucky. The Zaxby’s application link can be found below. Now, the company has more than 600 locations in 15 different states, including Missouri, Texas, North and South Carolina, Louisiana and Alabama. The company’s headquarters is stationed in Athens, Georgia. Incredibly, this is still a private company. The business also sponsors many different collegiate athletic programs, including Duke University and the University of Alabama. As part of the restaurant industry, the business wants to offer its customers tasty meals. At Zaxby’s, fried chicken is the star of the menu. Chicken fingers and chicken wings are available with a variety of appetizers and sauces, including the namesake Zax, Nuclear and Insane Sauces. The restaurant also makes sandwiches and salads. The company’s core values are guest focused, develop talent, operational excellence and continuous improvement. The business thinks that it is important to do what it takes to keep customers happy, whether that means adding new menu items or revamping dining areas. They try to find the best people to work for them and then push them to be their very best. There are a variety of Zaxby’s jobs in all experience ranges. Corporate careers will require applications to either live near the company’s headquarters in Athens, Georgia, or be willing to move there. Corporate jobs include positions in accounting, franchising, finance, marketing and information technology. Many of these positions require more previous experience than restaurant jobs. Managerial and hourly positions are available in the restaurants. Many of the hourly positions can be either part- or full-time allowing for those who need flexible scheduling to manage the workload. Managerial positions include manager and assistant manager. Hourly positions include crew member, cashier, cook and head cashier. The hourly positions typically start payment at minimum wage. How old do you have to be to work at Zaxby’s? To start working Zaxby’s careers, you must be at least 16 years old. The restaurants are open between 11 a.m. and 10 p.m. If you decide to start any of the Zaxby’s jobs, you should keep in mind that you might need to work outside of business hours. If you are an employee at Zaxby’s, you could be eligible for a plethora of benefits. Employees are granted flexible scheduling and paid training, along with discounts on the company’s food. Eligible employees can sign up for health insurance plans and 401(k) retirement plans. Opportunities for raises and advancement are other benefits employees may earn. Cook – Duties of the cooks are following food safety rules, meeting sanitary standards, preparing food and meeting industry regulations. Cooks should be able to work quickly and efficiently, but still be able to successfully interact with customers. Pay for cooks typically starts at minimum wage. If this sounds like something you would be interested in, fill out an online application today. Manager – Managers are responsible for making sure the restaurant is constantly running efficiently and smoothly. Many times, managers are people who started as an entry-level employment opportunity at the restaurant. Salary for managers starts at $30,000 and may increase to $40,000 to $45,000 a year with additional work experience. Crew Member – The crew members at the restaurant-level are usually entry-level employees who want flexible scheduling. These associates must be able to work well with customers. Other responsibilities include helping prepare food, cleaning the kitchen and restaurant floor, operating cash registers and working the drive-thru window. Pay generally starts at minimum wage with the possibility of increasing to $10 per hour. Field Marketing Coordinator – The field marketing coordinator career path is a corporate level position. The coordinators will support the Field Marketing Consultants while they are working in the field. With a focus on brand development, these workers help educate their team on local store marketing. They may need to help with social media and other digital marketing initiatives. What drew you to apply for Zaxby’s careers? You should have a specific reason you applied to Zaxby’s and the position you chose to apply for. If you don’t have a reason, then that will show the interviewer that you aren’t serious about the job. You aren’t committed if you can’t state a reason that that is the position you want. Where do you see yourself in a few years? The interviewer wants to see that you are driven, regardless of what you see yourself doing down the road. Even if you don’t want to be with the company forever, it will show them that you have goals. When are you available to work? Since restaurants need to make sure that they are fully staffed at all times, sometimes the company will have to hire for specific times of the day. If you have an open schedule, it will be easier to place you into a position. Managers will have to answer questions more geared for leadership roles. Questions could include, “What is your previous management experience?” and “What is your preferred leadership style?” These questions will help the hiring manager decide who the best fit for their particular restaurant location is. Since management roles require previous experience, your answer to the first question is very important. There is currently no printable application for Zaxby’s, so if you wish to apply in-person, you will need to visit a local restaurant and ask for a free application. In addition to not having a printable application form, there is also no place on the website to click download application form, so you can either apply online or in-person. If you decide to apply for Zaxby’s jobs online, the website will walk you through how to apply for Zaxby’s online. The Zaxby’s job application online is straightforward, so it is stress-free. Before you apply for jobs at Zaxby’s, you can browse the list of open job opportunities on the company’s website. You can also read a job description for each of the jobs. If you fill out a Zaxby’s application, you should make sure you fill out a direct application and include your resume. Your resume should outline all of your relevant work experience. Keep in mind that it will take the managers a few weeks to review all of the applications. If you haven’t heard about the status of the position, you can call in and ask about the job. When you are preparing for an interview, you should prepare to answer a few common interview questions, some of which you can find above. Prepare to go over things that aren’t on your application form. Also, be sure to show up to the interview in appropriate clothing and looking your best.